MareNostrum 4 it is the main supercomputing of Barcelona Supercomputing Center and it is located inside Torre Girona Chapel. MareNostrum 4, the main supercomputer of Barcelona Supercomputing Center (BSC), has won the prize to the Most Beautiful Data Center in the World, organized by Datacenter Dynamics (DCD). The award has been granted by popular vote, and MareNostrum 4 has competed with such impressive facilities as the Switch Pyramid in Michigan, the Bahnhof Pionen in Stockholm or the Norwegian Green Mountain. 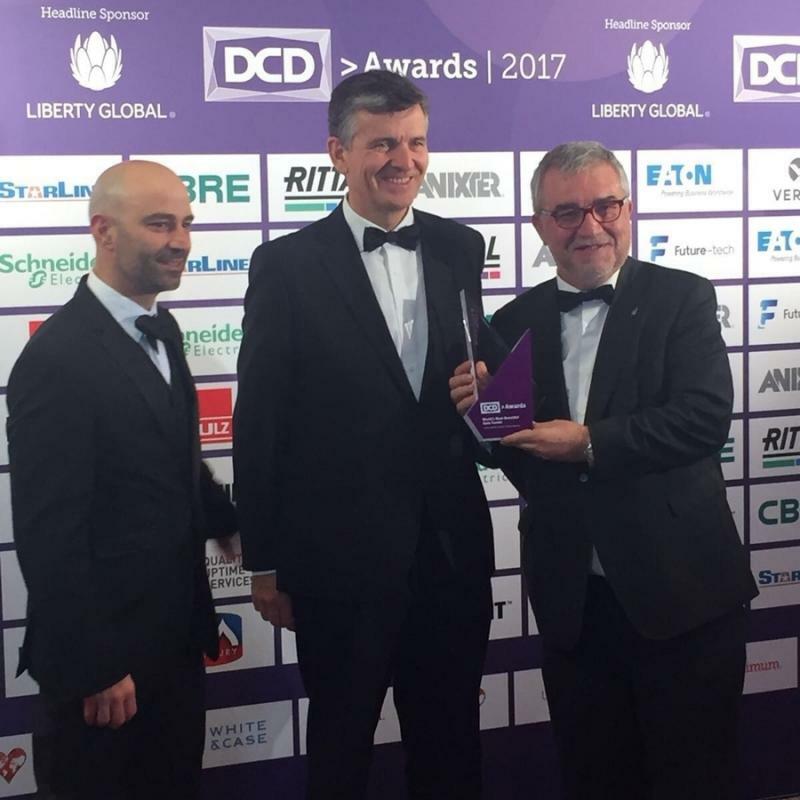 The awards ceremony took place on December 7th in London and both Mateo Valero, BSC Director, and Sergi Girona, Operations Department Director, received the prize. MareNostrum supercomputer has prevailed for its particular location: the Torre Girona chapel. The Torre Giona estate dates from 1860 and was the private summer residence of Manuel Girona, banker and Mayor of Barcelona. It consists of a house in the neo-classical style, romantic gardens and a pond. The current chapel was built after the Spanish civil war, in the 1940s, attached to the main building. In the 1970s the chapel was deconsecrated and it became property of the UPC (Universitat Politècnica de Catalunya). It had different uses, for instance a boardroom and the UPC aula magna. In 2005, BSC was officially established and the first MareNostrum supercomputer was installed inside Torre Girona. The chapel’s classic architecture, including the original pillars, the arched gallery and the stained glass windows, remains intact. The building infrastructure was reconfigured to accommodate the requirements of one of the most powerful HPC systems in the world, and the impressive result is a modern supercomputer encased in glass and placed in an old-looking church nave. MareNostrum 4 began operations on July 2017, and according to the latest call of the Top500 list, it ranks the 16th position among the highest performing supercomputers. Currently, MareNostrum provides 11.1 Petaflops of processing power – that is, the capacity to perform 11.1 x (1015) operations per second– to scientific production and innovation. This capacity will be increased soon thanks to the installation of new clusters, featuring emerging technologies, which are currently being developed in USA and Japan. BSC allows visits to the MareNostrum supercomputer housed in the Torre Girona chapel, always with previous appointment. The visit, led by personnel from the center, lasts 30-60 minutes and consists of a video presentation of BSC and the supercomputer, followed by a tour of the facilities. In BSC website you can see the picture gallery of MareNostrum.